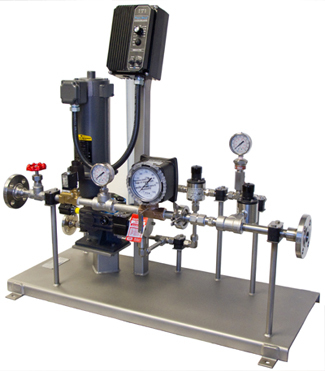 KGO Group Ltd. provides specialty DOSEURO & EMEC Liquid Metering Pump systems, built to client specifications, including mechanical design, process controls, construction, start up and service. Each system is fabricated to our high standards, and backed by our technical support team. As a single source supplier our packaged modular systems are available in a variety of configurations, with a complete selection of auxiliary components, instrumentation, tanks, agitators, and are available in a full range of construction materials. Certifications – API675, CSA, TSSA, RTP1. Contact us today for technical information, or details.